The old Metro polymer bus benches are being removed. They had three molded concave “seats”, and also three convenient corresponding concavities on the back side of the back rest. 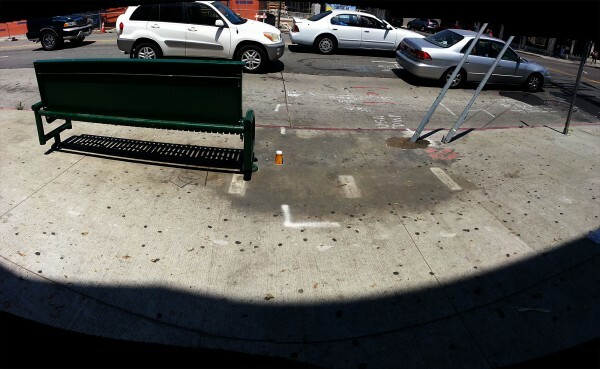 While the process of bench replacement is mostly about money, it also has the happy side effect of removing the homeless population’s favorite public urinals. New bench on the left, old bench stain on the right. OMG where will I pee!! !